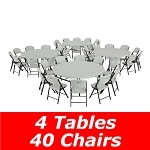 42673 Lifetime Round Folding Banquet Tables . 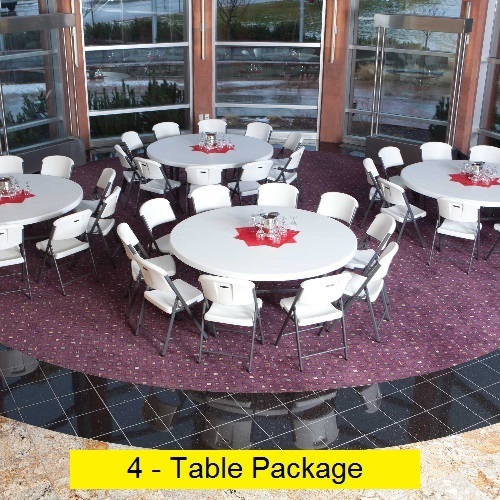 Number of Tables and Total Seating: Depending on your intended use this package of folding tables provides enough seating space for 40 people. Leg Style: H-Frame - Legs go straight down as opposed to an older wishbone style. The broad leg stance maximizes stability. Weight Capacity (evenly distributed): 2,000 pounds - evenly distributed. Features a 72" round molded tabletop (white granite) with a folding frame (gray). This model comes in a 4-pack with a 10 year limited warranty. 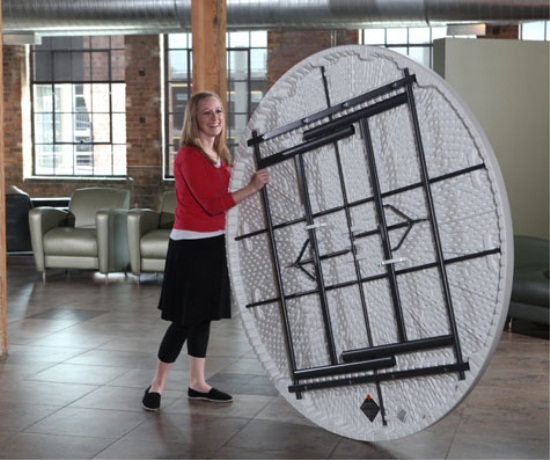 Lifetime 72 inch Round Commercial Folding Tables are constructed of high-density polyethylene and are stronger, lighter and more durable than wood. They will not crack, chip or peel, and are built for indoor and outdoor use. he patented steel frame design provides a sturdy foundation and is protected with a powder-coated, weather-resistant finish. 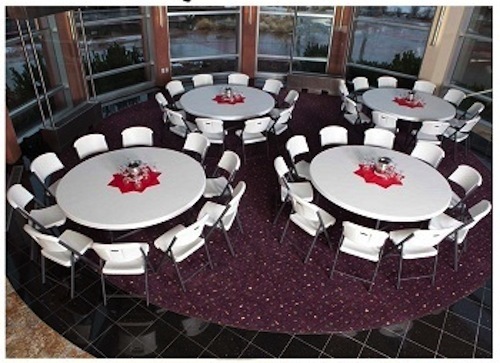 Perfect for banquets, meetings or large events, Lifetime 72 inch Round Folding Tables are built for the rigors of demanding commercial use, and exceed challenging BIFMA standards. 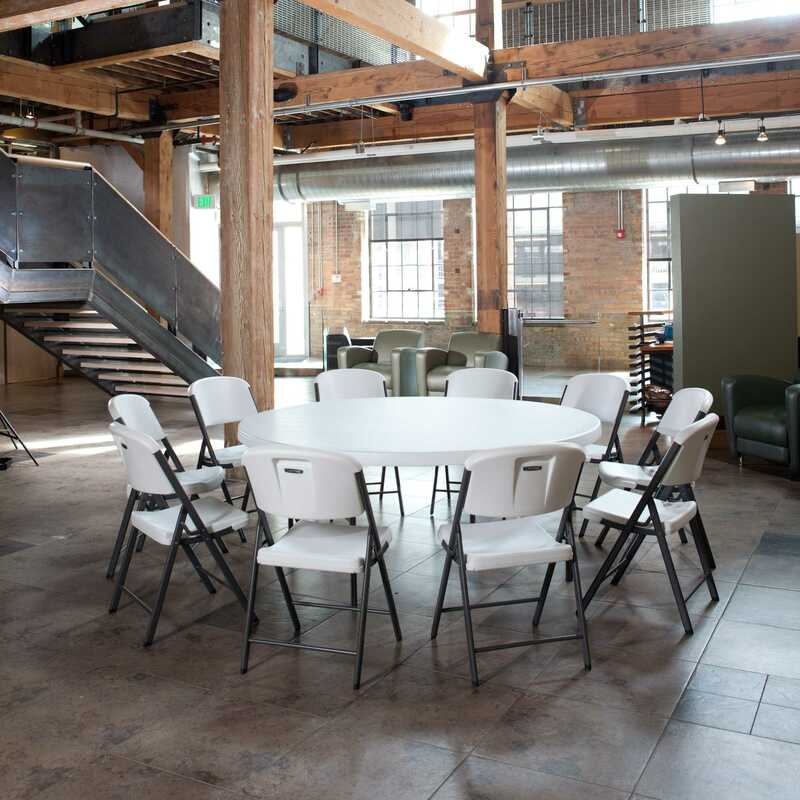 Common Uses Include: seminars, banquets, wedding receptions, classrooms, trade shows, teacher lounges, cafeterias, restaurants, cafes, outdoor gatherings, conferences, seminars, scrapbooking, home crafts, wood shops, patios, and more. Product: Lifetime Round Folding Tables - 2673 42673 72 inch Round Table White Granite Top. 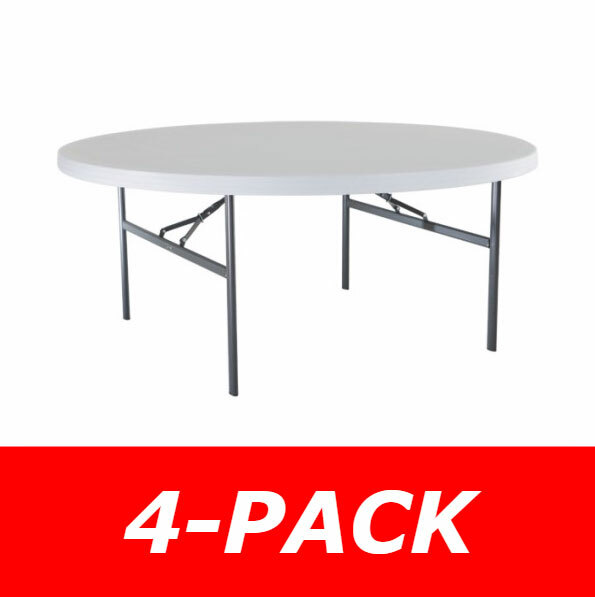 42673 4-Pack Lifetime 72" Round Folding Table with a 72" White Granite Molded Top, Gray HT Folding Frame. 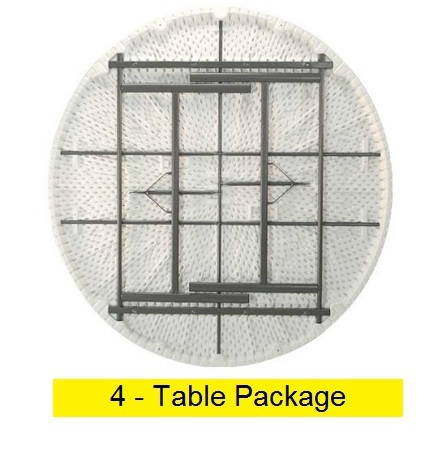 Free shipping for this package of Lifetime round folding tables when shipping to the lower 48 United States. 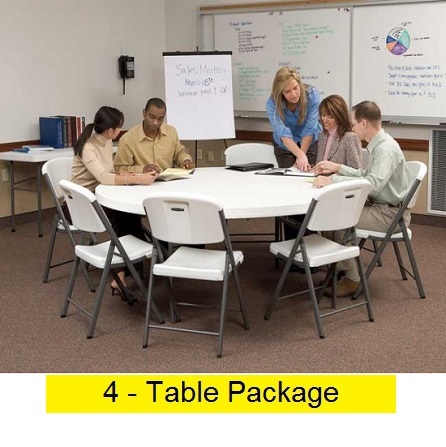 If you need just 1 round folding table 72 inches top consider round folding table 72" model 22673 folding table. We also have model 2673 folding tables - a 12 pack with shipping included. This table is similar to the Bm-71. 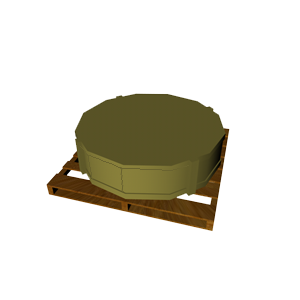 Table top weight capacity: 1700 lbs. evenly distributed weight. 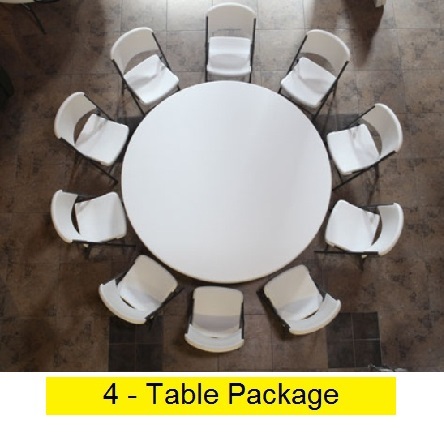 This package of round folding tables seats about 40 people all together (10 people per table). The package weight for this model number is about 300 lbs. The warranty for these tables is honored through the manufacturer, Lifetime Products. 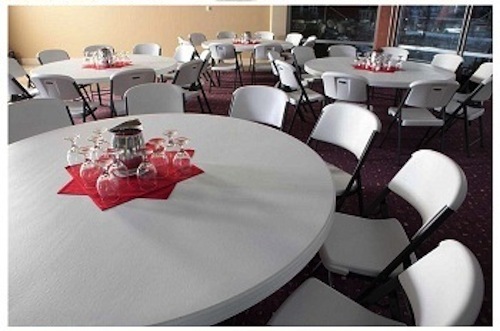 Low price guarantee for Lifetime plastic round tables. I did a search in MSN on the specific tables I was interested in purchasing and your company came up showing the lowest price. We love them! These tables are perfect for all kinds of gatherings. We use them ALL the time. They are surprisingly affordable. If you are looking for a nice table for special occasions then buy this one! We made our purchase online and got our delivery as promised on 5/13/16 (Joe, a very nice delivery person, who helped us move everything into our garage). We placed a large order online (40 chairs) with four large 6ft round tables (72 inches diameter) and four adjustable height 6ft long tables. I spoke to a sales rep and and got a price match with Home Depot price. My wife and I can admit they are very sturdy, look great, and will last a long time. Easy To Dress Up And Last Forever. Q: How many can be seated at this table? A: The table can comfortably seat 10 people. Q: How long does delivery take? Where do they ship from? A: Orders generally ship out the next business day from Utah (where they are made). Depending on your proximity it can take between 3 and 5 business days. 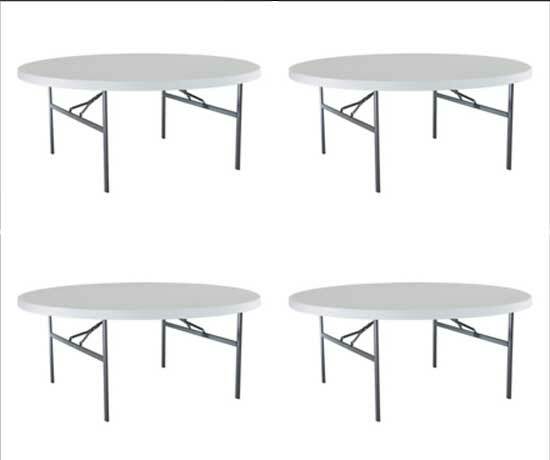 Q: What if I need 10 tables? Are these available in other quantities? A: Yes, they are also available in single packs as well as 4 packs, and 12 packs. The model number for the single pack is 22673. If you search our website for that model you can find it quickly. 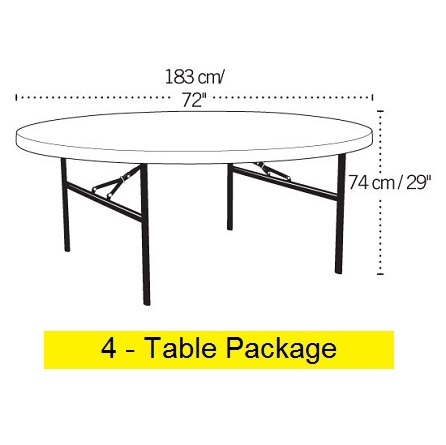 Shipping: Orders for the 42673 Lifetime 6 Foot Round Folding Banquet Table generally leave the warehouse the next business day. Dimensions: 77" x 77" x 17"